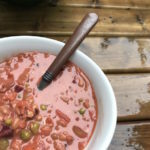 A recent favourite new kitchen concoction of mine and my Mom’s is a Mediterranean Pasta Dish that popped in my head while pursuing the grocery store for dinner items one day. Not only is it tasty, but it is also easy and quick to make. Other Vegetable Substitutes: Feel free to substitute in some of your favourite vegetables. I imagine zucchini and peas would be good in this dish. We have also added in a smoked eggplant to this pasta. 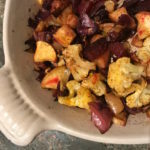 For Meat Eaters: You can easily add in cooked meat to this dish. We’ve added meatballs and chicken to it on two separate occasions, but I also imagine pancetta, bacon, ham, and smoked sardines would be good. In a skillet, place enough pasta for your dinner party, in boiling water. 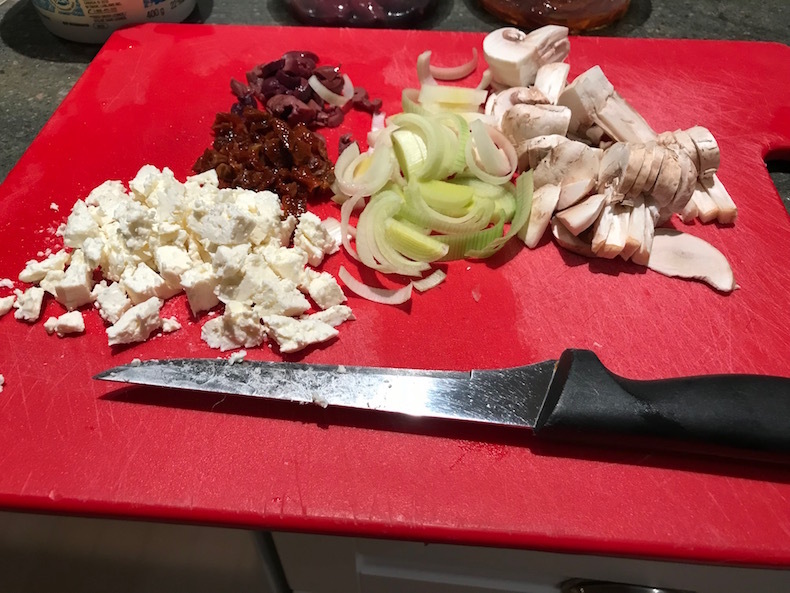 While the pasta is cooking, thinly slice olives, sun-dried tomato, mushrooms, leeks, feta, and anything else that you wish to add to the pasta. 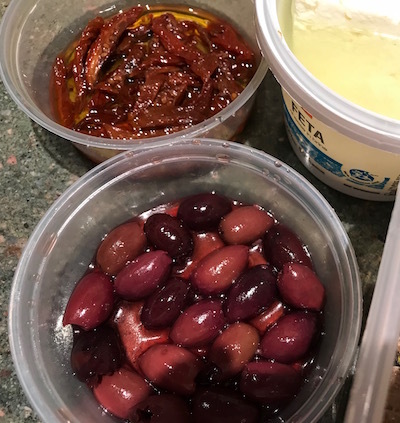 If you are trying to gauge how much of each to slice, for two of us with smaller appetites, I chopped up approximately 6 olives, 6 sun-dried tomatoes, 2-3 mushrooms, and about 1 – 1/2 inches of a leek. 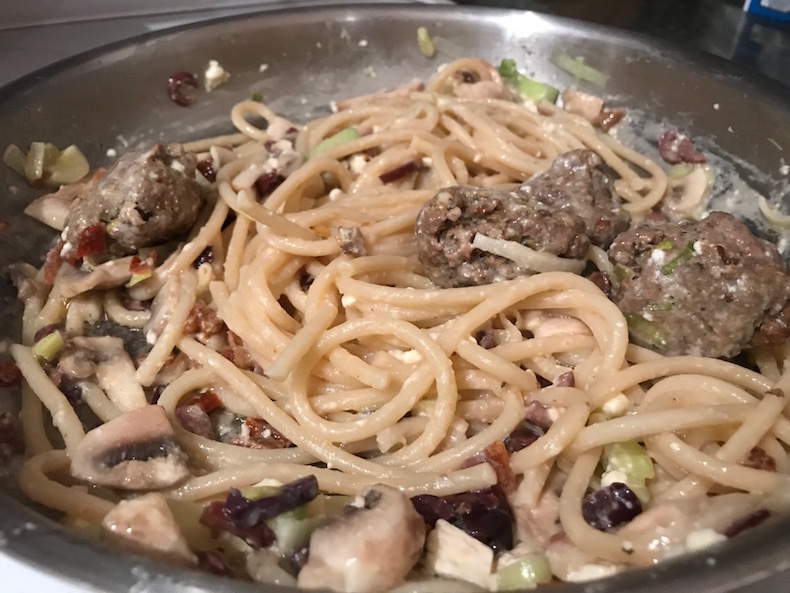 Once the pasta is cooked, reduce the burner to a medium low heat, drain the majority of the water off of the skillet, leaving a small amount in the bottom of the skillet, and add in the olives, sun-dried tomato, mushrooms, leeks, and feta. Drizzle olive oil over the top (approximately 1-2 tablespoons worth), toss, and cook until the mushrooms are slightly browned. Would love to hear any of your variations on a pasta like this that you’ve made, in the comments below.